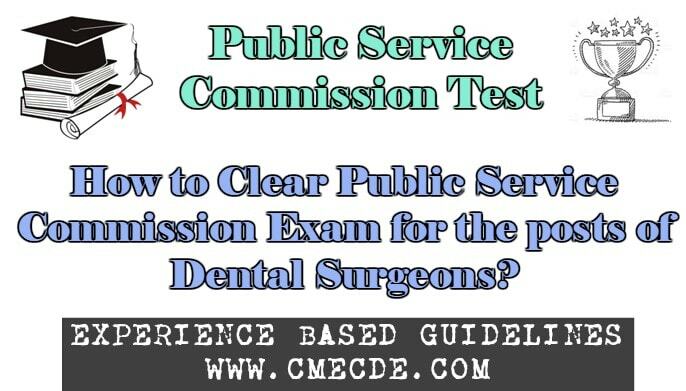 How to Clear Public Service Commission Exam for the posts of Dental Surgeons? In this post we will share guidelines about clearing Public Service Commission Exam for the posts of Dental Surgeons. First of all i will share general guidelines. If we talk about exam test then keep in mind it is different in every province. Somewhere it is just Interview based, somewhere just MCQs based and somewhere Both. So this test can be any of the above. You must do Final Year subjects Books, because most of the test is based on your clinical subjects. So you should have firm grip of final year subjects. What else can be there in Test? 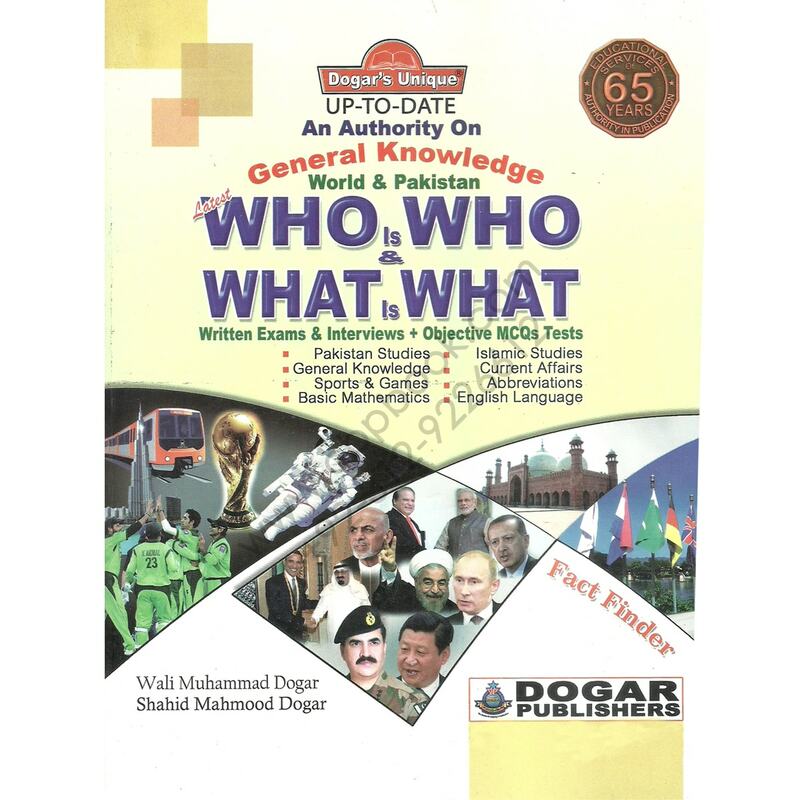 You will need “Who is Who and What Is What by Dogar Brothers” to cover these subjects. MCQs test consists of 60/75 MCQs from clinical subjects of Dentistry. These MCQs are mostly taken from VJ Pratab MCQs (Clinical). You should do Dentogist MCQs (Clinical) as well (to be on the safe side). Once you clear your written/MCQs Test you will be allowed to appear in Interview Test. As i have mentioned earlier that above mentioned subjects can be covered through “Who is Who and What Is What by Dogar”. “This guidelines are shared by me (Dr. Jahangir Khan), I took First Position in BPSC Back in 2014”. For Questions kindly use comment box given bellow. For your valuable information and your important time.. Thank you for feed back. I am glad if some one gets valueable info from my side. Proud to hv colleagues like u…. Plz guide me from which final year subject mcqs come most …. Want some more guidance regarding federal public service commission..
All service commissions will take your exam pretty much in similar fasion, they will test your clinical subjects plus Islamyat, Pak studies, General knowledge and current affairs. So you have to prepare all these. Yes there is no any specific subject for the mcqs to come most.